The thought of a senior loved one moving into a facility can be difficult for the whole family. 90 percent of people over age 65 want to age in place and families like yours want to offer support at home for as long as possible. Unfortunately, having a job and participating in regular life activities can make caring for your loved one at home impossible. That’s how home care can make a difference. Home care allows seniors to remain at home by offering services otherwise only available at a care facility. Non-medical in nature, home care aides offer services like help with meal prep, bathing, and mobility. Caregivers can serve as companions, provide transportation, and be that extra set of eyes and hands your loved one needs to be safe. As a result of home care, many families find that mom or dad can enjoy the comforts of home even when independent living becomes a challenge. One of the reasons so many families and seniors desire to age in place is because of the independence afforded at home. Facilities are designed for group function. When you choose home care, your family member retains the independence to spend their day as they please, arrange their home comfortably, and otherwise enjoy all the familiarity and comforts of home. Caregivers offer support and assistance to help make that independence safe. Reminding of medications, schedules, etc. Offered 24-hours a day, live-in, or part-time as needed, the variety of services provided by caregivers can be tailored to meet your loved one (and your family’s!) specific needs. 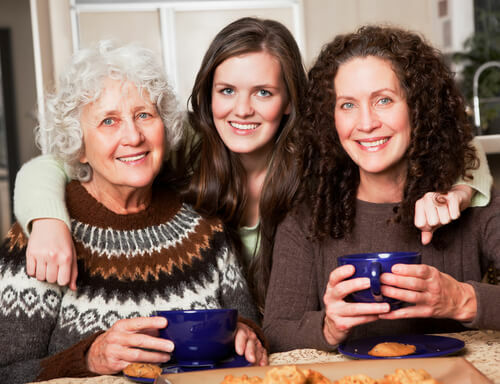 Worry about your loved one’s safety and well-being affects the whole family. Knowing that your family member has a caregiver who is experienced in and committed to supporting them makes a huge difference in relieving stress and concern. Your Mom or Dad may find themselves one of many seniors who find it difficult to live independently. If so, they will have peace of mind knowing caregivers are available for their support. Caring for an aging adult takes time, effort, energy, patience, and more. Studies have even shown that caregiving for a family member can be a source of chronic stress that affects the mental and physical health of the family. Home care helps alleviate the burden of care by creating a team approach to supporting your senior loved one. With responsibilities delegated to loving, professional caregivers, you and your family may find that supporting your aging family member at home is more feasible. Many families facing the challenges of a loved one aging find that home care is a freeing solution. Aging adults and their families can better enjoy their relationships and lives with less worry when caregivers are offering support at home. Learn more about this option to determine if it’s the difference your family has been needing. Download our FREE Guide to Home Care.